When it comes to communicating in the digital era, a picture is worth a thousand words. Whether you’re texting, sending emails, or posting on your favorite social media platform, pictures add a dynamic layer to digital communication. When marketers want to make an impact on their audience, they turn to pictures to get the job done. 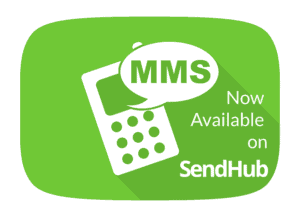 This is the chief reason for SendHub’s latest exciting development: outbound MMS functionality. Inbound MMS is a feature previously offered by SendHub, and we will continue to include this functionality in our plans. However, with this new rollout, customers now have the option to upgrade their plan to include outbound MMS. Plans will include outbound MMS functionality for both one-on-one messages as well as mass texts to large groups. The main benefit of outbound MMS is that it allows the recipient of your message to see an image upon receipt. The other option would be to send a URL. MMS eliminates the need for recipients to click on a link to view your picture or video. This way, content is seamlessly integrated into your messages, and your customers are able to access it effortlessly. Statistics show that over half of all online traffic is done on a mobile device. With this in mind, it makes sense to capture an audience via their smartphones. Since they are most likely to research products and even make purchases on their mobile device. 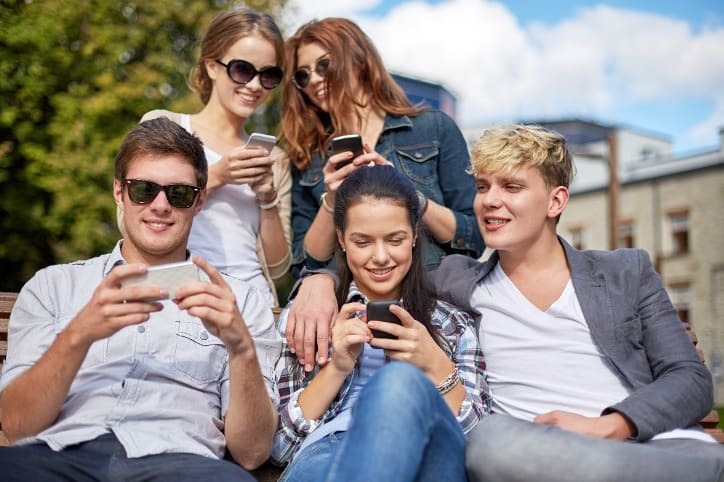 MMS marketing is the future of mobile marketing. This is true for many types of messages simply because it’s more dynamic, visually appealing, and easy to access compared to SMS. SendHub’s new outbound MMS feature enables users to send mass MMS group texts or one-on-one messages depending on your unique needs. Take a real estate agent who is holding an open house, for example. Now that real estate agent can send a mass text with a tour of the house they’re selling in a seamless MMS message. As new people express interest in the house, they can follow up and send each individual an MMS message as well. With SendHub, the maximum size for an MMS message is 5 MB. Supported MIME types that will be formatted for delivery on the destination device are jpeg, gif, and png. For professionals dealing with confidential client information and large blocks of text, there’s nothing more suitable than MMS messaging. MMS allows customers to professionally send copies of larger documents immediately to clients or prospects. Additionally, SendHub outbound MMS marketing is compatible with all devices, and studies show a higher level of open rates compared to traditional email marketing. Essentially, SendHub outbound MMS will enable you to reach more customers more easily and more economically than ever before. Whether you are hoping to add dynamic layers of rich content to your messages or you simply want to stay at the forefront of current marketing trends, outbound MMS is certainly the future. Contact SendHub today to learn more about MMS functionality and discover how it can add incredible value to your next marketing campaign.